Welcome to summer and the 35th edition of our company newsletter! We all trust you had a great 4th of July weekend...though what's up with that whole "on a Wednesday" idea? We're lucky enough to work with all the talented folks you'll read about below, as well as still finding time to develop our own brands - Wine, Tea and Studios... so if you know anyone who is in need of digital or filmic help - get in touch as we'd love to meet them and add them to the McCartney Roster! So without further ado, let's see what our clients are up to. We're pleased to announce that we have launched McCartney Studios! So, whether you're in the market for a quick explainer video, an animated 3D pitch, investor presentation, branded content, an old-fashioned TV Commercial or a full 6K drone shoot, McCartney's teams execute with skilled professionalism and a relentless pursuit of perfection, whilst still leaving room for a unique California client experience and splendid lunches by the beach! Below are samples of "Behind The Scenes" videos with Wunderbrow. 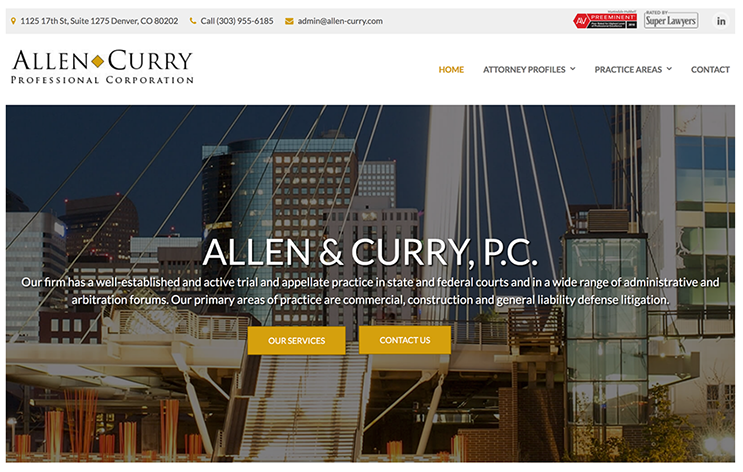 We're proud to announce the web site launch of Allen Curry of downtown Denver, CO. The firm focuses on commercial and construction matters, while representing a diverse group of clients, including small business owners, general contractors, subcontractors, contract sureties and a wide range of material and major component suppliers. Allen & Curry has extensive experience in state and federal appellate courts. Their appellate attorneys have litigated more than 150 appeals in the State of Colorado on issues ranging from the constitutionality of statutes to attorney fees, and have argued in front of the Colorado Supreme Court and Colorado Court of Appeals on numerous occasions. From Rum to Vodka, from Soju to Bourbon, from Sake to Gin, there are over 20 recipes to choose from! So head on over to Mrs. McCartney's Wines and stock up with your favorite flavor! The booklet contains 20+ recipes to help you create the most refreshing drinks. So get your ingredients ready and start enjoying summer! And don't forget, every sip helps the Linda McCartney Breast Cancer Research Fund at Liverpool's R Charity. Penn & Teller go on Tour! Penn & Teller are going on tour this fall. Check out the tour page on PennandTeller.com and see if they're coming to a town near you! For over 40 years Penn & Teller have defied labels—and at times physics and good taste – by redefining the genre of magic and inventing their own very distinct niche in comedy.With sold out runs on Broadway, world tours, Emmy-winning TV specials, a star on the Hollywood Walk of Fame and hundreds of outrageous appearances on everything from Fallon to Friends, The Simpsons to Colbert, Modern Family to Top Chef, comedy’s most enduring team shows no signs of slowing down. Dr. Angie McCartney chats live with Melissa Manchester! Many of these tunes embedded themselves into Manchester’s musical DNA while she was growing up on New York City’s Upper West Side. “These were the artists and songs that were on the radio as my family ate dinner,” she says. “I am deeply familiar with this world.” Indeed, Manchester brings a nuanced understanding to the songs’ delicate phrasing and lyrical construction that would baffle lesser singers. “The band” is the 40-piece Blue Note Orchestra, a collection of students, alumni and faculty from Citrus College, the suburban Los Angeles University where Manchester is an honorary artist in residence. We recently shot a "Behind The Scenes" video at Tone It Up's R-Entertainment produced event at Barker Hangar in Santa Monica, CA. From their website: "Whether you’re at your computer, your phone, or curled up on the sofa, we just want to send a warm WELCOME and introduce ourselves! We’re Karena and Katrina, your trainers and the co-founders of Tone It Up! Tone It Up is a community of strong women who support and motivate you to lead your healthiest, happiest lives and make your dreams come true. Let’s rewind a little bit back to when Karena and I first met. It was a Friday night in Manhattan Beach, California. I was personal training at Equinox and Karena was coming in to work out— yup, both of us just wandering the gym on a Friday night. We were new to town, so it was good timing to meet each other." Mrs. McCartney's Teas launches new Flavour! Information: Maple sugar has been produced from the sap of Maple trees in North America for hundreds of years. When the first Europeans arrived in the New World they found the Native inhabitants tapping the trees in order to gather the sap that was used. The Natives would then use hot stones to help evaporate the sap leaving behind Maple sugar, which they referred to as "sinzibukwud". With the influence of the Europeans, many different methods for processing the raw Maple Sugar were developed. These ranged from Maple candy to Maple syrup; mmmmmm. One of the most delicious of these is Maple Cream. It is believed that the first people to blend cream and Maple syrup lived in Vermont during the 1800's. State legend has it that the son of a prominent Maple producer chose for his wife the daughter of a local dairyman. For their wedding, the couple decided they wanted to serve their guests something new, delicious, and wonderful. The concocted the idea of blending syrup with fresh dairy cream and voila, Maple Cream was born. The wedding feast was a smashing success, as was the marriage. (A son was born exactly 9 months later to the day!) In the same spirit of innovation we decided to create this blend. The taste of this tea is second to none. Sweet, with slightly burnt undertones, this one is fantastic with a dash of sugar and a little milk. Brew a pot today and enjoy! We are in the process of developing a brand new site for Austin, New Jersey and soon Houston- based company, MERIT SI. MERIT SI is a multi-discipline, solar photovoltaic (PV) project engineering and development company focused on bringing innovative technology and sustainable solutions to critical infrastructure operators. The MERIT SI team is strategically focused on serving the energy and chemical infrastructure verticals with behind-the-meter solar and solar with storage solutions, designed to seamlessly integrate into existing operations. As a technology and engineering focused solar PV turnkey project provider, MERIT SI works with industrial and critical infrastructure operators to meet their sustainability goals by designing and delivering custom solutions that will help reduce cost and improve overall energy output. Stay tuned for updates and launch notification. Stay tuned for site launch! Maree Cheatham is not only a recognized actress, but also an accomplished ceramics artist. A collection of her vases will be shown soon at the American Ceramics Society in Ojai, CA. 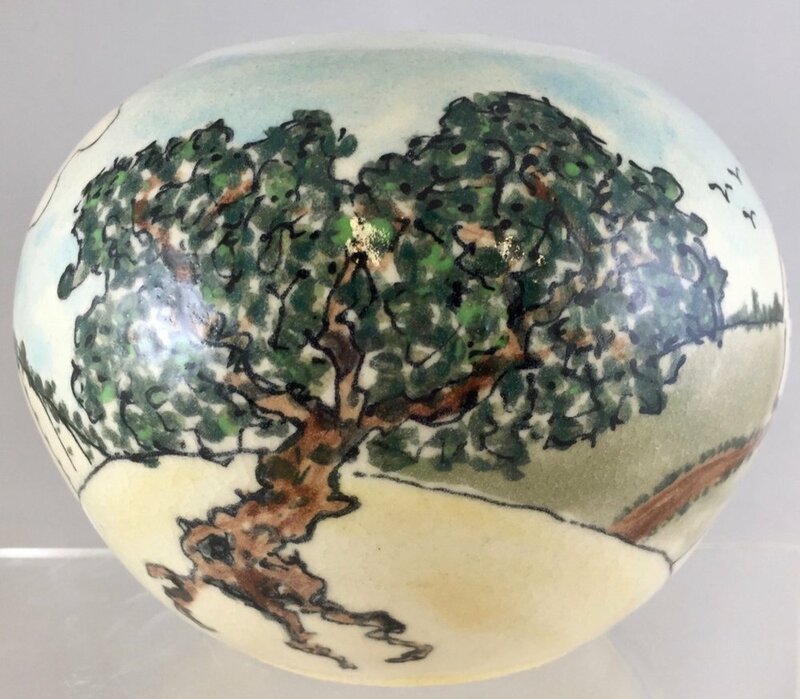 "I’m thrilled that three of my new “Farm" series of vases are in the upcoming American Ceramics Society juried exhibition July 14-August 26"
Maree Cheatham began her acting career in high school after moving to Houston where she landed an apprenticeship at the acclaimed Alley Theater. She went on to graduate from Baylor University and became an artist in residence at the Dallas Theater Center. Maree followed her dream to Hollywood, which sparked the beginning of a legendary career spanning more than five decades. She plays the much-feared Bettie Breeland on Hart of Dixie and is beloved by her young fans as “Nona” on Sam and Cat and for being shot through the roof in Beetlejuice. Her extensive body of work includes eight years as Marie Horton on Days of our Lives, 10 years as Aunt Charlene on General Hospital and 10 years as Stephanie Wyatt on Search for Tomorrow, which garnered her three Emmy nominations. Other television and film credits include Dexter, Ghost Whisperer, Boston Legal, Hot in Cleveland, Weeds, Monk, Scrubs, Desperate Housewives, Gunsmoke, Hawaii 5-O, The Wedding Singer, A Night at the Roxbury, and Rumor Has It . Maree’s stage credits include the Broadway production of Ladies at The Alamo and Off-Broadway productions of Clash by Night and Christmas on Mars, which earned her two Drama Desk nominations. Maree continues to work on stage, having garnered both a Drama-Logue Award and Ovation nominations. Maree is also a published poet and enjoys pottery, basket making, quilting and spending time in her garden. She resides in California’s San Gabriel Mountains with her husband Robert Staron. From their website :"Can you blame us? That's why we created StreetStop: the mobile app dedicated to connecting food trucks to hungry humans. We hand-select all the food vendors on our app so our customers always have the very best experience. If you're a top-notch food truck vendor looking to expand your reach, then join the movement & fill out an application!" If you've been following our McCartney Newsletters closely, you will have heard of brilliant artist, singer-songwriter Nick Marechal by now. Recently, Nick was in the studio (LAFX, North Hollywood) mixing his cover version of The Beatles’ hit, “Things We Said Today” with world-renowned Beatles engineer, Geoff Emerick. Nick had previously recorded the tracks both at EastWest Studios and Capitol Records in Hollywood, and he thought it would provide some great legacy to his version to have one of the greatest engineers of all time, Abbey Road alum. Geoff Emerick put his finishing touches on the mix. The result was beautiful. Stay tuned for release date. Also, Nick is going to performing live at The Libbey Bowl in Ojai, CA opening for Gino Vannelli on August 4th, so mark your calendars and come on out for a night under the stars! For all your latest and greatest Beatles News, head on over to McCartney Times! We hope you've enjoyed Volume 35 of the McCartney Multimedia, Inc. newsletter. If you'd like to know more about us, and keep up with our clients' events and news, please feel free to visit our"Newsletter" Archive which can be found here.